You can wear your intention and support Foundation 1023. Bracelet made with Coral, and a double-sided charm that says “Love Your Now”. Coral: Represents Balance, Inner Peace, Harmony, Community, and Passion. Aids in protection and safe travel on water. Note: Please advise wrist size when ordering. You can wear your intention and support Foundation 1023. 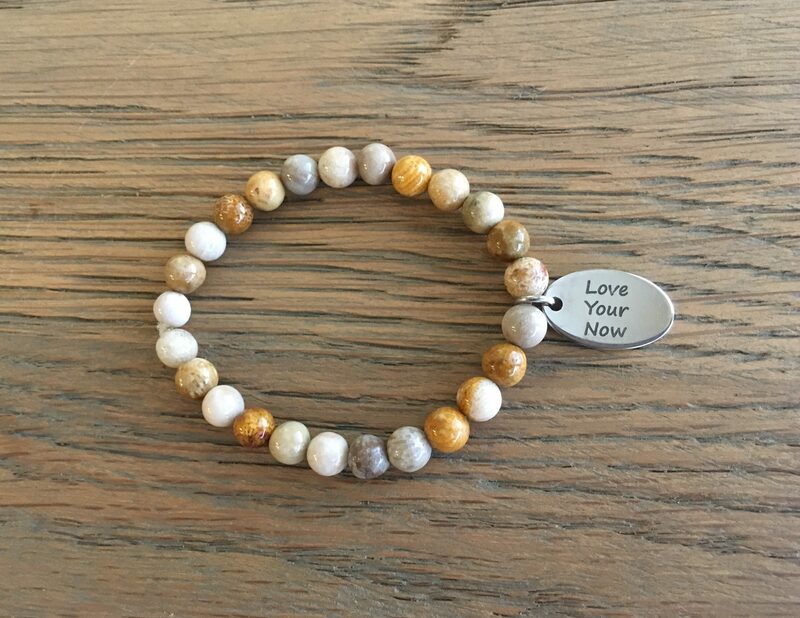 Bracelet made with Coral, and a double-sided charm that says “Love Your Now”. Several of us bought this bracelet and we all love it! So fun and super special! Thank you!